ust South of Sierre, the villages of Chandolin, St-Luc, Grimentz, Vercorin and Zinal comprise Val D'Anniviers, a partly connected ski area regarded by many as some of the most outstanding slopes in the entire Alps. 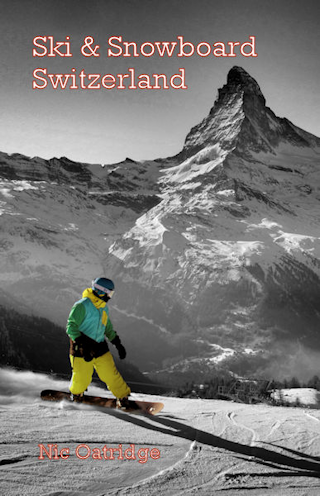 Grimentz is the prettiest of the villages, Vercorin has the most facilities, St Luc and Chandolin share the highest slopes and Zinal probably gives access to the best off-piste. 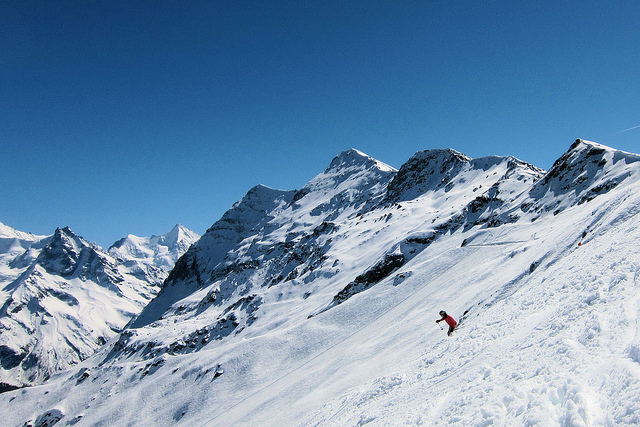 From December 2013 Grimentz and Zinal have been connected by a lift and a scenic but tough run down from Zinal. With a long, tortuous road journey to access the slopes and overshadowed by more famous resorts in Valais, this valley really is an almost undiscovered gem of wonderful, uncrowded slopes. Loads of great off-piste, both marked and unmarked, and an 8k run off Corne de Sorebois. 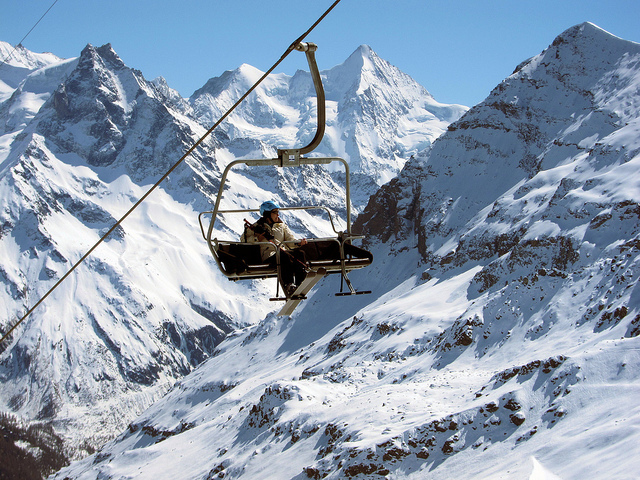 The Piste du Chamois is a fabulous long trail down to Grimentz, and now there is a lift back! Not a great party town or epicurean centre, le Besso is the best place to eat in the village, and le Pub is as good as any place to go for a drink. From Zurich the least travel time is 3 hrs 47 mins with as few as 3 changes going via Visp / Sierre / Vissoie. From Berne the least travel time is 2 hrs 37 mins with as few as 3 changes going via Visp / Sierre / Vissoie. From Lausanne the least travel time is 2 hrs 21 mins with as few as 2 changes going via Sierre / Vissoie. The road distance from Zurich is around 317 km and the journey time is roughly 3 hrs 40 mins. The road distance from Basel is around 290 km and the journey time is roughly 3 hrs 30 mins. The road distance from Berne is around 196 km and the journey time is roughly 2 hrs 15 mins. The road distance from Geneva is around 201 km and the journey time is roughly 2 hrs 30 mins. The road distance from Lausanne is around 138 km and the journey time is roughly 1 hr 45 mins. The road distance from Fribourg is around 166 km and the journey time is roughly 2 hrs 0 mins. 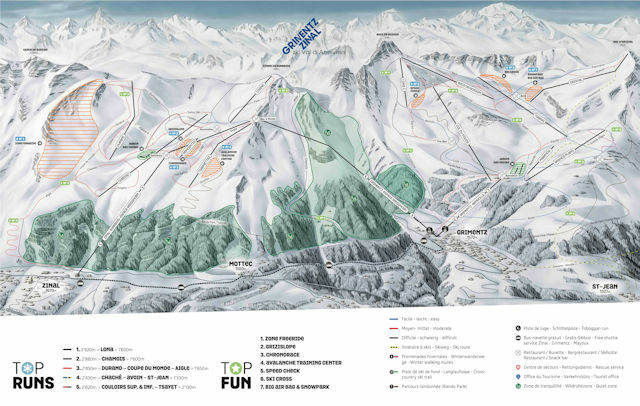 Other resorts in the ski area include Chandolin, Grimentz,St-Luc and Vercorin.